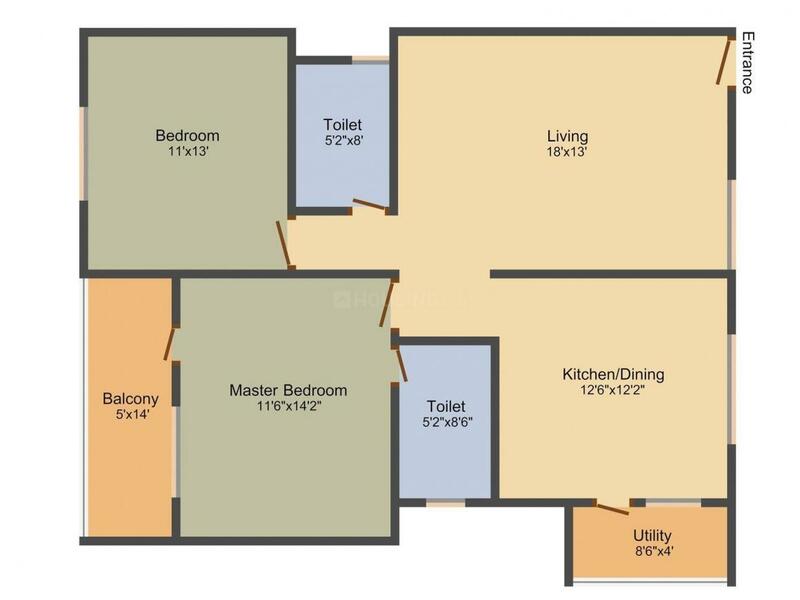 1200.00 sqft. - 1450.00 sqft. 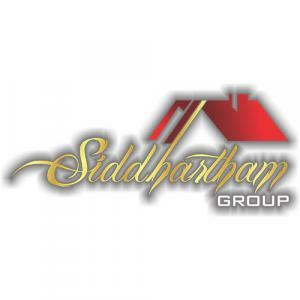 Silicon Elegant Woodlands is a residential project developed by Silicon Projects at Hosahalli in Bangalore. The project aims to offer a comfortable living condition to the residents by encompassing , adding to its existing many facilities. 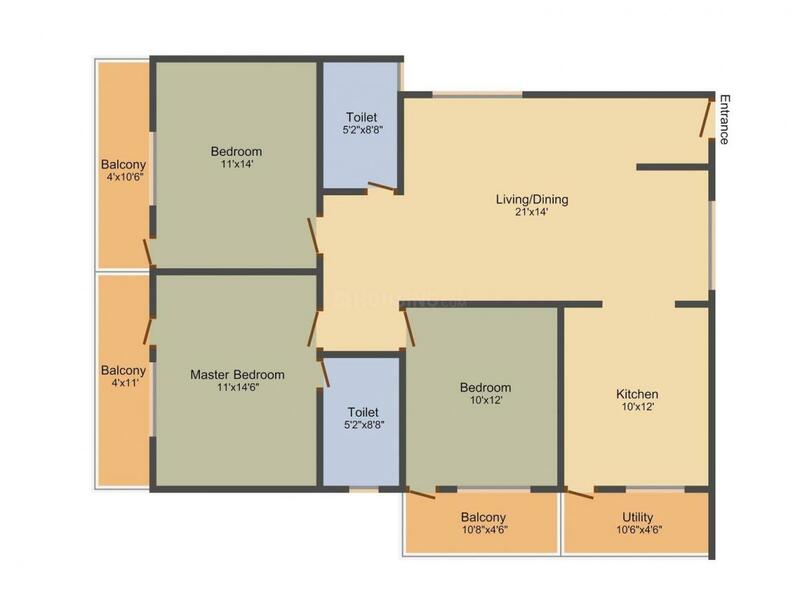 Super Builtup Area : 1200.00 sqft. Billamaranahalli is an emerging area in Bangalore, Karnataka. Located on the Bangalore-Hyderabad Highway, this locality is well-connected to the neighboring areas. The area is surrounded by Sonnapanahalli, Subs Nagar, Billamaranahalli and Hosahalli. The nearest station to this place is Bettahalasur Railway Station. HAL Bangalore International Airport also lies at a brief driving distance from this place. The area lies close to Yelahanka that houses Rail Wheel Factory (formerly Wheel & Axle Plant), Astra Zeneca Pharmaceuticals, Gogo International, Federal-Mogul Goetze (India) Limited (formerly Escorts Mahle Goetze), Ranflex India and Hobel Flexibles. Apart from this, a 12000 acre Information Technology Investment Region (IITR) is coming up at Devanahalli, which is in the close proximity to Billamaranahalli. This project has attracted some of the renowned corporates such as Infosys, Wipro, Cognizant, TCS etc. Over 55 multinational IT companies have signed up their interest in IITR. Also, Aerospace Park is being developed near Devanahalli on 252 acres. All these reasons has resulted in attracting a number of Real Estate Developers, investors and inhabitants to this locality. Silicon Projects Pvt.Ltd. has made its presence in the field of construction business by creating various residential buildings. They also have highly experienced architects who are skilled in designing best of their projects. They believes in the moral values of punctuality and integrity towards their work. They offer best deals to their customers and they highly ensure customers satisfaction. They provide their best service as possible and assure quality construction to their customers. Silicon Projects is headed to script their name in the annals of Real Estate history as they seek to define happiness through their concrete marvels.